So you have booked a place on your first mud run or obstacle race. Maybe it is a Tough Mudder, something a bit more fun. 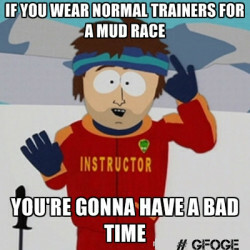 Maybe you have gone for the daddy of mud runs, the Tough Guy. Either way you will have a lot to think about both before and during the race. These tips should help you get through it a bit more smoothly. 1 Make a list and be organised. These events are hectic and confusing. Lots of people will be milling round and you do not want to get to a race and find out you have forgotten a shoe. Or safety pins for your race number. Check your list and tick everything off. Have separate lists for what you will be wearing, what will be in your grab bag at the end of the race and what any support members will be carrying for you. Know what is happening, when it is happening and what you are expected to do as much as possible. Don’t be “that guy” who turns up, wanders round and ends up in the wrong place at the wrong time without half his stuff. If you are on a team they will hate you and the organisers will be busy enough without babysitting you. Be the guy (or girl) the others look to when they don’t know what to do next. 3 Don’t be a hero. For the better races just finishing is the challenge. Don’t worry about your time, just concentrate on getting round and finishing. The same applies for costumes. They may look great and get you photographed lots but they will slow you down and make it harder. Also going shirtless (generally only a thing guys do anyway) and wearing body paint. You may look like a badass at the start but if it backfires and you end up under the tinfoil blanket you won’t at the end. Closely followed by your socks. If you are mainly running in mud you NEED good quality trail shoes designed for those surfaces and lightweight non-cotton socks that will not soak up water. I recommend compression socks as they are tight enough not to roll up and fall down. The material also tends to be pretty thin and not hold onto water. The shoes need to fit well yet be tight enough not to fall off. They also need to be worn in and comfortable. Normal road running shoes will not do the trick. As a backup tie a loop around your ankle and around part of the shoe so at least if they do come off you can still pull them out and are still attached to them. Just don’t bother with tape, it will fall off and make a mess of wherever you are. 5. Find a team or a partner. Ideally someone who will race the same speed as you and you have been training with. Like in a bar a good wingman is very useful. Having someone there to help you over the wall or up that muddy bank can make all the difference between finishing and giving up. These event are designed to be hard and the more unfit you are the harder they will be. 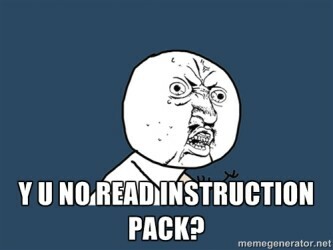 They are intended to make you fail. Earn your place on the finish line through your training. Every mile under your shoes, every burpee in the rain, every early morning after skipping a night out drinking gets you closer to the finish line and the ever so shiny medal. 7. Should you Weight Train? 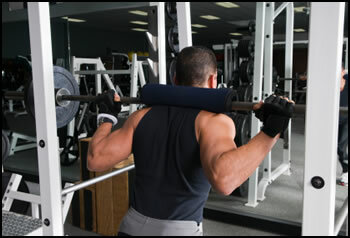 Weight training is a great way to get in shape, get fit and lose fat. That said, is weight training a suitable form of training for obstacle & mud races such as Spartan race, Tough Mudder and Tough Guy? The answer, like most things, is not straight forward. On the surface it seems weight training is not suitable for mud & obstacle races. After all they are about moving your own body rather than moving heavy objects so your focus should be on that. But, endurance running is not the best method of weight loss available. Full body weight training on the other hand is very good for fat loss. If you are new to mud & obstacle racing, and perhaps have signed up for your first Tough Mudder or Spartan race you may find you need to lose a bit of the padding around the midsection. A weight loss of a few kilograms or more can make a big difference to how well you do and can help you in other areas of your training which may be bodyweight based. This is forming the initial stage of my training for Tough Mann Adventure Challenge 2014 as weight loss is key requirement of getting a faster time. Weight training also helps build muscle and, on those colder races such as Tough Guy in the depths of English Winter, (trust me on this, Tough Guy is a cold, cold race) muscle can help keep you warm without slowing you down the same way fat does. Finally, weight training can give your body some “impact” resistance. Ie if you fall off something, crash into something or otherwise get beaten about, a bit more muscle can help protect you and prevent injuries. So yes, you should make functional weight training (squats, & deadlifts primarily) a part of your mud run & obstacle race training plan. However, it should not form the main base of your training which should be more focused on running (endurace & faster interval) and bodyweight training.